Here are five strategies to report on your SEO activities effortlessly, and demonstrate the value you deliver. In my experience, SEOs often make wrong assumptions when trying to communicate the progress they’ve made. For one, often times they take for granted that the other party has at least some understanding of the process that goes into delivering SEO results. Also, many disregard whether the recipient actually understands the significance of their metrics. Reporting on rankings is a good example. Both you and I know that a significant boost in search visibility typically results in an increased number of organic visits, conversion rate, and providing that you’ve targeted the right keywords, sales. However, it rarely signifies such potential to anyone outside of the industry. And here lies the key problem with reporting SEO – to showcase the impact of continuously boosting search visibility, you need to convert your data into actionable, quantitative insights. Let me share some strategies to help you do just that. No organization launches or builds its SEO program in a vacuum (or, at least in my years of building and running an enterprise SEO platform, I haven’t come across one). Your work is typically tied to specific goals – increasing conversion rate, generating more leads and converting visitors to customers. What goes with it, every action you take, be it identifying new keyword opportunities, creating new content or auditing the site, aims to deliver those specific results. And that’s in spite of the fact that it might not affect such outcomes directly or immediately. Here's your first opportunity for improving your main reported metrics. By presenting your outcomes in the context of overall company’s goals, you build a connection between your actions and outcomes the entire organization strives towards. Changes in visibility for the top converting keywords. Again, it’s always good to also tie this to revenue, leads or other outcomes you generate. Differences in the competitive landscape, for example, your most recent efforts to close the content gap. SEO takes time to manifest its impact fully. But that’s hardly bad news. Because, given enough time, you could demonstrate the value organic traffic provides for your organization. And the simplest way to achieve it is by presenting the difference between the website’s performance before you’ve implemented changes and now. Moreover, this isn’t an opportunity to demonstrate the impact of just the organic traffic. You can present almost every SEO data point this way. 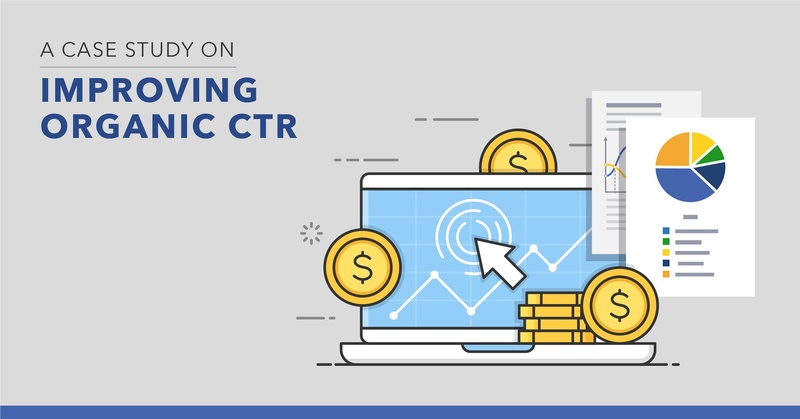 The screenshot above from seoClarity's Search Analytics demonstrates that from November to February there was an increase in clicks and a click-through rate increase as well. Here is seoClarity’s Page Speed report for one of the test sites we monitor. Note the irrefutable improvement over the last couple of months. And then correlate that to how your site’s keyword rankings have changed over the last six months. Note: This strategy works best if you’re presenting your results and have a chance to explain various elements of the report. However, I believe it could work in a written report as well. It would just require you to add explanations for various activities you’ve implemented. The before and after data presents improvements you or your team have delivered to the organization. It's important to present those results in the context of specific actions you’ve taken. Take page speed, for example. 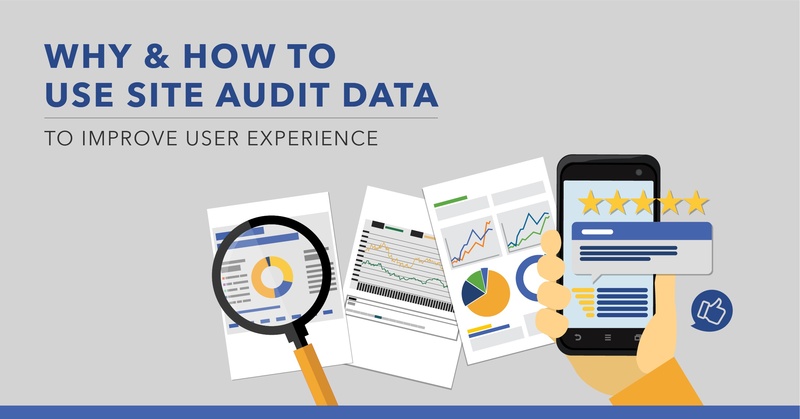 Any seasoned SEO understands the process that goes into making pages load faster – from auditing for potential errors to working with the IT department to eradicate code and a lot in between. Anyone else, not so much. By providing the context for the result, as well as the broader business outcome it delivers, you demonstrate the value but also, focus the recipient’s attention on your efforts too. Agency SEOs do this in every report. Apart from showing results, they underline every single activity they’ve conducted since their last communications. Some simply list tasks in a bulleted list. Others take it further and provide overview and explanation of every major action they took. But the format isn’t important. What’s crucial here is that they do it with a single goal in mind – to show tangible outcomes a client would easily understand. As an in-house SEO, you may not need to justify your actions to such extent. Usually, results speak more than actions. Having said that, it’s a good idea to include some rundown of tasks or projects you initiated since the last report. And there are two reasons for that. Not only you will highlight your activities but also remind your SEO roadmap moving forward and indicate what changes/results to expect from your department in the coming weeks or months. If you’ve implemented the strategy #4 into your SEO reports, then you’ve provided the organization with an indication of your next steps. So, if there’s anything that you know might impact your outcomes, technical challenges or additional expertise you might need or other teams that you need to engage to complete your next phase, mention that in the report too. Additional server capabilities, templates, etc. Reporting SEO to anyone outside of the industry is difficult, but it's a must to build your case for further resources and investment to help you deliver against your objectives and goals. And the biggest challenge lies in communicating how your work has impacted the organization’s bottom line. Utilize the above strategies to demonstrate this value much easier and effectively. Identify the SEO opportunities with the highest impact on your business when you work with seoClarity. Schedule a walk-through of our platform today to see it in action for your business.